Escape the city to this sequestered lake front home offering ultimate privacy. Frank Lloyd Wright inspired, Tudor Revival style home nestled on the shores of Kentucky Lake and secluded by water and nature. Distinctive, waterfront home was originally built by developers of Cedarling Hills Subdivision. 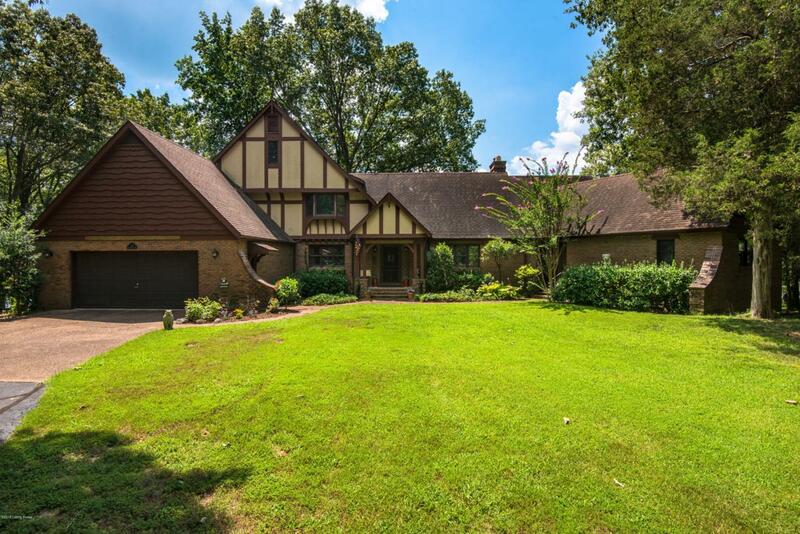 In addition to nearly two acres of land, home is surrounded by an additional two acres of federally protected, TVA land. Original developer maximized all views of the water and privacy while positioning the home to take in both the sun rise and sun set. Home itself is truly an architectural gem with original leaded windows, built-in floor to ceiling book cases, inlaid wood floors and barrel ceilings. Floor plan is both functional and flowing whilecapturing lake views from every room and angle. Abundant closet and storage space meticulously positioned throughout home. First floor offers renovated kitchen, large living room and family room with completely updated guest suite and spacious home office. Oversized, three car garage conveniently connects off mud room. Second floor host spacious master suite with additional two bedrooms. Hidden stair case leads upstairs to additional bedroom and storage space. Shaded porch just off rear of home overlooks the breath taking lake views. Deck and patio just steps from kitchen makes entertaining a breeze. Just past in-ground, salt water pool is a private sandy beach and stationary dock. This property truly has it all with over 550' of lakeshore, year round water and total privacy. Call today for your private showing.